I like selling on eBay. A lot. The drizzly, gloomy weather came to a halt for enthusiastic bookworms out and about the National Mall for the 11th annual National Book Festival this weekend. Over 200,000 attended this year, breaking last year’s record of 150,000, according to School Library Journal. 112 authors, including award-winning authors, met at the festival to interact with fans, sign books, and give book readings. Books were available for purchase from the Barnes & Noble bookseller pavilion, but festival patrons were welcome to bring their own. Many attendees stood in hour-long lines to have books signed by authors, poets, and illustrators. Books and authors were separated into different pavilions, including History & Biography, Fiction & Mystery, Poetry & Prose, Contemporary Life, and the new pavilions State Poets Laureate, The Cutting Edge, and Graphic Novels. Gadget-geeks considering setting down paperbacks and getting into the eBook craze visited the Digital Bookmobile to try out different eBook devices, browse a public library online, and learn a little bit more about media available electronically. 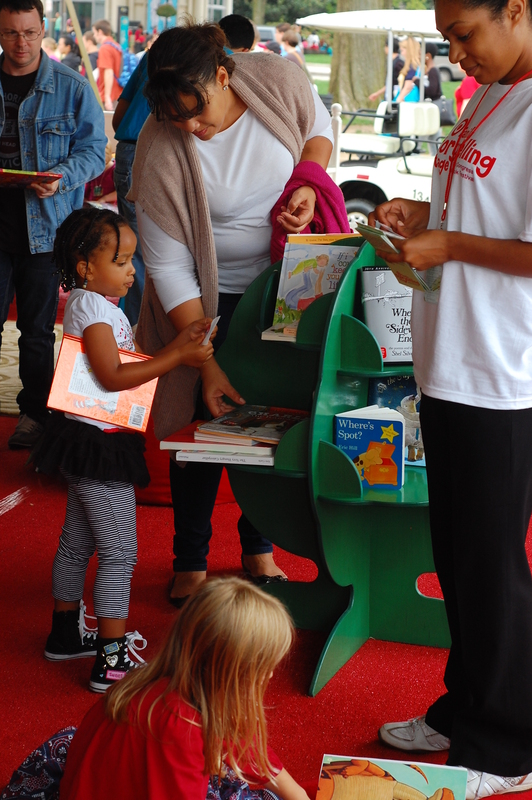 This year’s theme, “Celebrate the Joys of Reading Aloud” was promoted by activities geared toward the younger crowd. 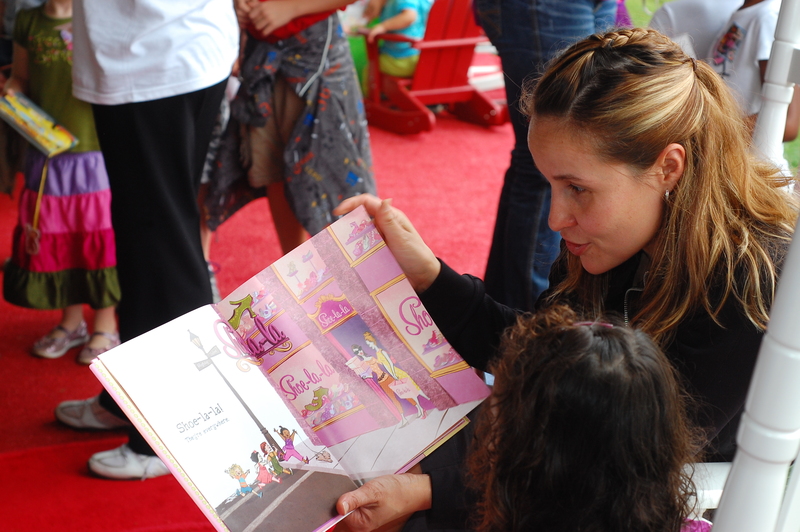 Musical acts and children’s authors gathered at the “Family Storytelling Stage” pavilion, in addition to other tables set up with various kid-friendly activities. Children were welcome to get creative and make their own bookmark or sit down and read. Excited young fans took photos with PBS show characters like Clifford the Big Red Dog and the cast of SUPERWHY! 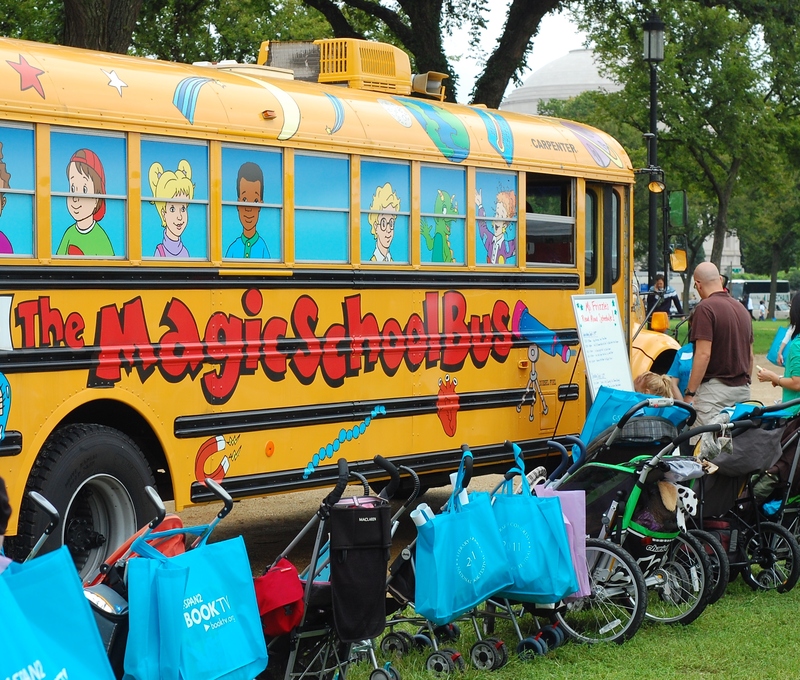 or hopped on a real-life version of The Magic Schoolbus. Normally a one-day event, the record success of 150,000 attendants last year caused the festivities to expand to two days this year: Saturday, Sept. 24 and Sunday, Sept. 25. Target, Wells Fargo, and the Washington post, among other sponsors, made this festival possible with the help of the Library of Congress. Hawaii-based readers not in the Washington, DC area can attend a local Book and Music Festival in the month of May. This year’s festival featured local authors Maya Soetoro-Ng and Roseanne Barr, among others, as well as the musical group Eddie Kamae and the Sons of Hawai’i and Slack Key Guitarist Cyril Pahinui.